Groups cause the biggest messes. Some places are more difficult to keep clean because of the number of people visiting. 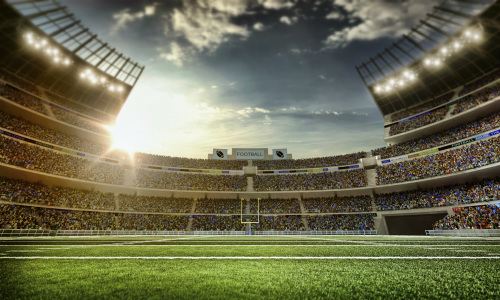 From concert halls to football fields to race tracks, stadium cleaning can be quite the endeavor. If you do not have the right cleaning program in place, the state of the place can affect customer satisfaction and, ultimately, future attendance. It takes a while to achieve a clean stadium, and it takes no time at all for it to be in complete disarray. Keep up with the janitorial work before it becomes too much of a problem to control. The time leading up to a sports game is crucial for getting the stadium in tiptop shape. Once the fans arrive, beer, popcorn and paper products will be everywhere. The inevitable mess of the masses does not have to be a feared happening when a proper stadium cleaning service is put into place. In addition to the time before an event, cleaning is a constant effort that should often be done during the entertainment. During certain times the facilities have an influx of people using them. Some stadiums constantly cater to people while others only hold events every once in a while. Despite the type of stadium, restrooms are no doubt one of the busiest areas for visitors at a given time. The following of an event schedule creates optimal times for people to take breaks. Since germs and bacteria are everywhere in restrooms, stadium cleaning should put a strong focus on bathroom cleanliness. Keep up with the crowd by maintaining inventory. Occasional tidying up and disinfecting should also be done to keep restrooms looking acceptable to customers. Since bathrooms often influence the overall perception of a location, it is important to keep them in order. You do not have to rely on regular employees to take care of the colossal messes. By contracting the cleaning work out, you can achieve a higher level of cleanliness, creating better customer satisfaction. Through allowing professionals to do the stadium cleaning for you, the location will be kept under your highest standards. Jani-King recognizes your desire to keep a clean house, be it movie theatre, sports arena or speedway. With a customizable cleaning program, Jani-King offers your stadium the best cleaning quality you can imagine. If you want to impress customers while controlling the certain disorder, give the Jani-King experts a call today!